According to the most recent studies by Nielsen, 25% of U.S. Millennials are Spanish-dominant Hispanics/Latinos. Millennials are more “multicultural” than any previous generation. In the U.S., approximately 45% of that generation identify as Hispanic, African-American or Asian-American. 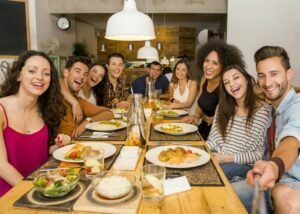 And over a quarter of all U.S. Millennials are first-or second-generation immigrants-many of whom have strong ties to their global origins, according to “Hispanic Millennials Seek a Cultural Connection to Grocery”, a report published in April of 2016. Need to know more? Join us at the 2018 Latino Food & Beverage Trade Show, Meadowlands Expo Center, New Jersey/New York Metro Area. Visit our home page or call us at 848-258-2144.